Q. Who do I call if I found a dead, sick or injured sea turtle; or to report someone disturbing a sea turtle or a nest? A. Do not go near or touch the turtle, take flash photographs or shine lights on her. Call the Florida Fish and Wildlife Conservation Commission (FWC) at 1-888-404-3922. Q. Who do I call for sea turtle information, materials or to schedule an educational program? A. We can provide educational programs and materials for schools, libraries, events, businesses, restaurants, vacation rentals, hotels, etc. Contact FOSWST today to let us know how we can work with you to spread awareness and education about sea turtles in Walton County! Q. How can I volunteer to help sea turtles? What can I do? If you are interested in helping to provide educational programs, distributing educational materials, planning educational or fundraising events, or writing content for education and awareness materials, contact FOSWST. We need volunteers who are skilled at communications, education, design, event planning, fundraising, and collaboration to join our team! To help educate visitors and locals about keeping the beach #CleanDarkFlat and #LeaveNoTrace, please consider joining our Volunteer Beach Ambassador program. To walk the beaches in the early mornings to find nests and turtles, you should contact one of the area’s Turtle Watch groups or find the one in your region: Emerald Coast Turtle Watch, Panama City Turtle Watch, South Walton Turtle Watch, etc. They will be able to direct you to the proper training dates and procedures. Q. I can’t volunteer but would like to support sea turtle conservation. A. There are many quick and easy ways to be a friend to sea turtles even if you cannot volunteer. Its as simple as #CleanDarkFlat! Take all of your “stuff” off the beach when you leave. Chairs, toys, and towels pose serious hazards for sea turtles. Put trash in the trash bins provided. Keep lights that can be seen from the beach turned off at night or at least faced away from the water. Use only red light emitting flashlights such as those found at www.turtlesafeonline.com, many hardware stores, and the Blue Giraffe shop on Scenic Highway 30A. You can also use stickers for your flashlights found at www.turtlesafeproducts.com, the Walton County Visitor Center, or request some from us. Fill in your holes and smooth out your sandcastles for the night. Report any sea turtle activity to the Walton County Sheriff’s Office or call the Florida Marine Patrol 24-Hour Hotline at (850) 233-5150. Q. What do donations support? A. Education and awareness to increase sea turtle conservation in our region of the Florida panhandle. Your donations to Friends of South Walton Sea Turtles supports the development, printing and distribution of educational and awareness materials – from coloring books and magnets to stickers and website hosting. As a completely volunteer run organization, donations to FOSWST do not support salaries or administrative costs. Q. 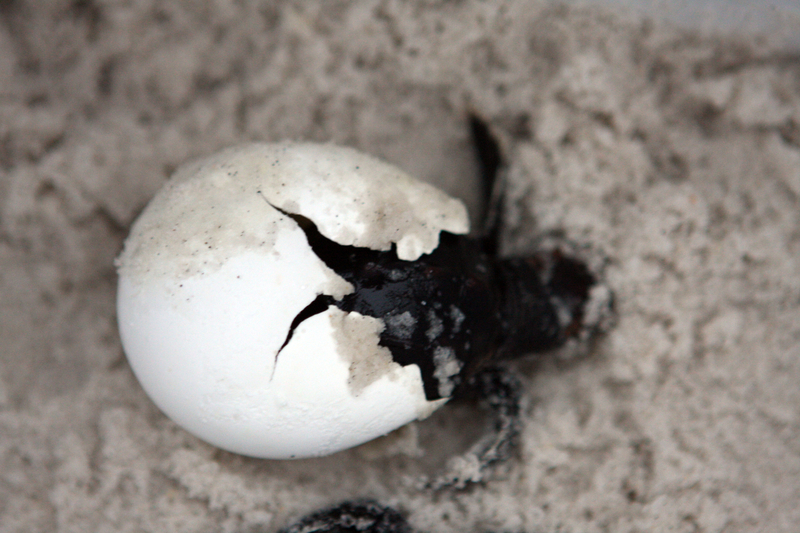 Why are there two organizations working on turtle conservation in Walton County? A. Friends of South Walton Sea Turtles (FOSWST) and South Walton Turtle Watch (SWTW) do different things with the same end goal. But, we understand that there is still some confusion about the difference between SWTW and FOSWST. In 2014 the local Turtle Watch organization asked us to form as a separate group to handle sea turtle education and awareness programming in Walton County, Florida. SWTW provides an incredibly important service to the county and state government by monitoring and protecting turtles and nests as the permit holders for our region contracted by the Walton County TDC to provide that important service. We at FOSWST provide educational programs and materials about sea turtles to rentals, restaurants, businesses, schools and other organizations to educate locals, visitors, and their children about how to protect sea turtles. We are a 501 (c)(3) non profit organization managed by volunteers. Sea turtles need us all to work together in this effort and we are proud to work collaboratively with all conservation minded individuals, businesses, government agencies, aquariums and nonprofit organizations to do just that! Q. Are Friends of South Walton Sea Turtles and South Walton Turtle Watch affiliated? FOSWST is a new group, funded by private donations and donation jars, and staffed completely by volunteers. FOSWST is the go to group when it comes to public awareness and education outreach to encourage more successful nests in the future. Our mission is Sea Turtle Conservation through Awareness and Education. For us – it’s all about education!! Our organization was incorporated as a non profit with the State of Florida in February 2015 and received our 501 (c)(3) status in February 2016. We are managed by a dedicated volunteer board and have a core of hard working volunteers who help us with everything from designing and distributing educational coloring books to providing content for our website and social media awareness campaigns. We spread information on what the average beachgoer can do – such as our innovative #CleanDarkFlat campaign created by our social media committee this past spring. We provide education and materials to area businesses and children. We provide educational programs and will be hosting events to raise funds to enhance these efforts. Q. Where can I find more information on sea turtles, conservation and education? A. There are many ways to learn more about sea turtles, how to help them and what to do if you find a nest. Visit the Education section of our website for many links. 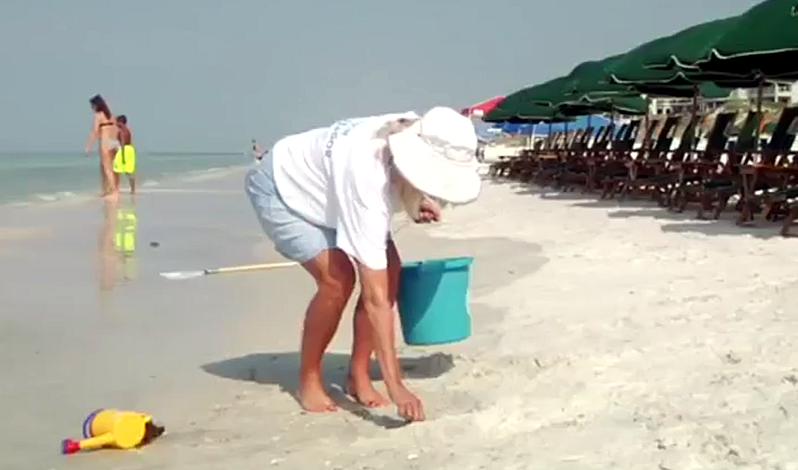 Join our Volunteer Beach Ambassadors program. Visit the local South Walton Coastal Branch Public Library which has an excellent selection of books and materials on sea turtles.